Bio-mechanical Assessment of your body means we assess the bio-mechanics; how your body, and the different parts, move in relation to each other and the ground they are supported by. At The Foot Clinic we use it to analyse how the various structures of your foot work together. This applies to activities and functions like standing, walking or running. If your biomechanics are normal, then you should be able to move freely without any pain. Often the pain or the symptom you experience, will be linked to something your podiatrist can flag as “abnormal”, after your bio-mechanical assessment. Why use a Bio-mechanical Assessment? 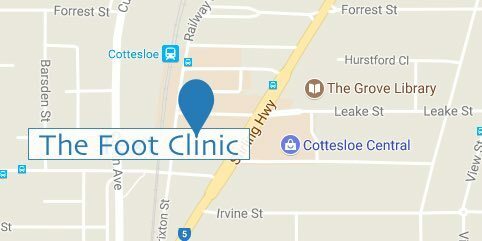 At The Foot Clinic we have a particular interest and expertise, in looking at the bio-mechanics, or the “bigger picture”. How our hips, knees, legs, ankles and various structures of the foot work together when we move. This helps us build you a better body, from the feet up. Although we are experts in treating any superficial skin and nail problems you may have, we will also look at those bio-mechanics. Having posture weakness can impact the overall function of your body. Correcting your posture starts with correcting your feet. Foot Mobilisation Techniques (FMT) is when your Podiatrist uses a range of techniques to manipulate by bending, stretching and extending parts of your foot to reset your bones and creating movement to the damaged area. It could mean that the position of your feet influences the pressure you put on your toes, heels or soles. It could mean that the position of your feet causes knee pain or even hip pain. The bio-mechanical assessment often connects the dots, and gives us (and you as our customer/patient), a deeper understanding of the underlying problem. With a better understanding, we are able to provide a better recommendation for your treatment options. After all, it’s not just about reducing acute pain and inflammation or discomfort. What matters to us, is to provide you with an improved foot health, so you can enjoy your daily life, work, play or sports without restrictions. measuring your leg length and identifying any asymmetries, and testing any imbalances. This is about measuring the range of motion of your joints (from the hip, down to the toes). Reduced range of motion, or poor flexibility, helps identify problems with joints, muscles or tendons. 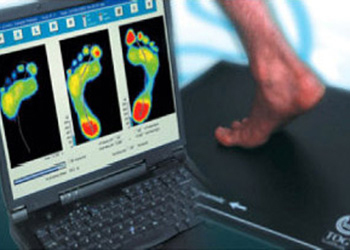 Your bio-mechanical assessment also includes measuring foot posture or foot pronation. Your podiatrist will look at the height of your arch, and at how your feet are “rolling inwards” to distribute the weight when you stand or walk. When you are scheduled in for a bio-mechanical assessment, we recommend you bring a pair of shorts or leggings, a well-fitted shirt, and if possible, examples of your everyday sports and footwear or the shoes you wear on a daily basis. If you have any relevant X-rays or scans, or pre-existing orthoses, then we ask you to bring them on the day, so we can assess them as well. Our Podiatrists have worked with many leading Australian athletes through to general fitness enthusiasts, mums and dads and kids of all ages. We have a personal passion and a particular expertise in collecting this information and using it to understand and improve your gait. It then often leads to relief of injury (including superficial skin conditions) and also helps you enhance your performance, whatever the nature of your daily activities may be.